Henry Ford once stated: “Coming together is a beginning; keeping together is progress; working together is a success.” The same is true for change management initiatives. Creating the vision, initiatives, and teams for change are essential elements. However, without progress in each of phase of the change management process, development is limited. The ability to remain focused, active, and accountable for change initiatives is not only a long-term destination, but also a combination of lots of short-term wins. According to Dr. John Kotter, Harvard Business School Professor and Entrepreneur, Step 6: Generate Short-Term Wins is essential to keeping the change initiatives on track. The purpose of this post is to identify what is a short term win and discuss strategies that can aid in generating those successes. What are your short-term wins? What key achievements would align perfectly with your CMP? For help identifying your short-term wins and methods to celebrate, feel free to reach out to learn more about Viral Solutions one-on-one Strategy Sessions. What is a short-term win? Dr. John Kotter described a short-term success as a milestone or event that the entire team would agree are “huge” and contributes to the fruition of the change vision. Although this is Step 6: Celebrating Short Wins, the process of identification of short-term wins can start simultaneously with Step 1: Creating a Sense of Urgency. Short-term wins can progress throughout each phase of the change management process (CMP). 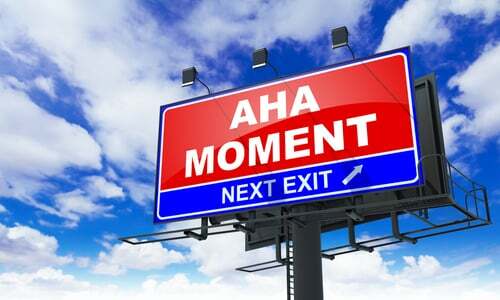 What does your “Aha” short-term wins identification moment look like? Are the identified short-term wins agreeable throughout your organization? to all that the accomplishment of that X, Y or Z milestone aligns with the change vision, but illustrates that the initiatives are working. If the team can agree that if we accomplish XYZ that the change vision initiatives are on track. The impact of achieving those milestones have a profound impact on the overall outcomes. Identification is critical. Identification of key milestones, actions, and benchmarks is essential to determining the short-term win. Determining the what, why, and how aspects of key initiatives that get the team closer to achieving the long-term change vision aids in identifying the short-term wins. The identification can assist management in identifying the key performance metrics that align with the milestone. How do you celebrate your short-term wins? Does that promote more successful actions? How can short-term wins be celebrated? Communication of short-term wins that are on track or have met the benchmark(s) is paramount. The delivery of communication can vary. Due to the vastness of change initiatives, change agents may not realize how much of an impact their daily efforts have on the achieving the change vision. This is where communication plays a significant role. There are many communication methods that can be used. However, the communication objective is relatively consistent – identification, recognition, and reward. The platforms used to carry that message may include: emails, phones, meetings, one-one communication, office party, etc. The key is to get out there and known without causing too much of a disruption. In conclusion, it is essential to celebrate short-term wins for many reasons. Celebrating short-term wins help to motivate momentum to continue the change initiative path, decreases resistance among critics toward the change, and rewards positive behavior. The motivation of momentum to continue change initiatives is discussed in more detail in Step 7: Sustain Acceleration. The ability to decrease resistance among critics toward change is extremely helpful in minimizing negativity and increases buy-in toward change initiatives. The additional acceptance and positivity toward initiatives and the change vision is significant toward removing barriers, increasing the urgency for moving forward, and supports the overall change efforts. Celebrating short-term wins rewards the efforts made to achieve the milestone(s). This rewards and reinforces positive behavior that has a direct influence on initiatives and the organization. The positive reinforcement and recognition encourages continued behavior and sets the stage sustaining continued efforts in phases to follow. Thanks for reading and comment if there are strategies that you have found to work best at celebrating short term wins in your organization.